A company iPhone where you can’t add additional applications? Interesting, and more than a bit frustrating, I would imagine. I mean, there are so many thousands of different applications, I trust there are at least a subset that are approved by corporate so you can gain some benefit from having a tiny little computer in your hands? 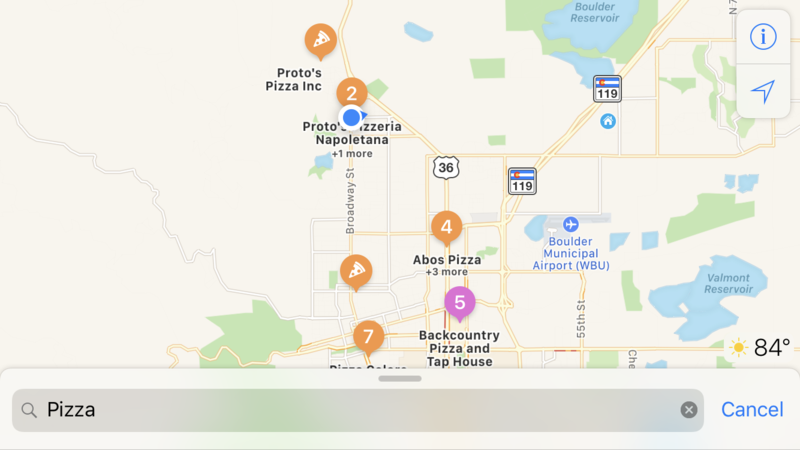 Yelp is definitely my go-to app for finding good local food, whether I’m on the road hundreds of miles from home or just down the street, but there are a number of other apps that offer similar functionality, including Around Me. 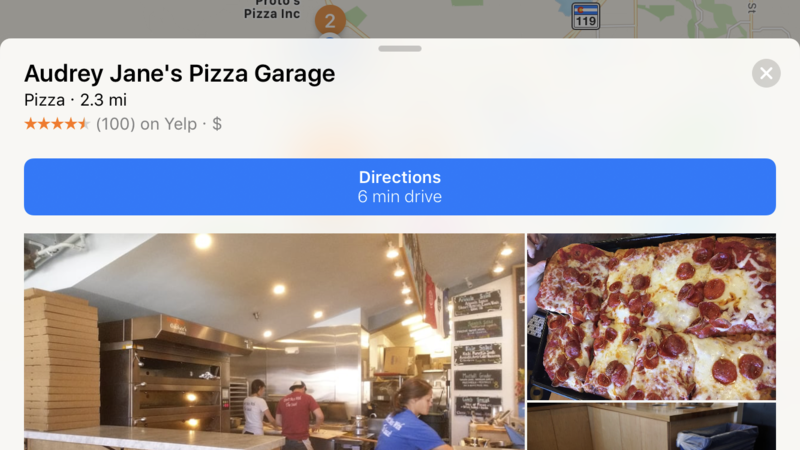 None of those are going to do you any good, however, but what’s great is that Apple Maps itself has Yelp more or less built into it! 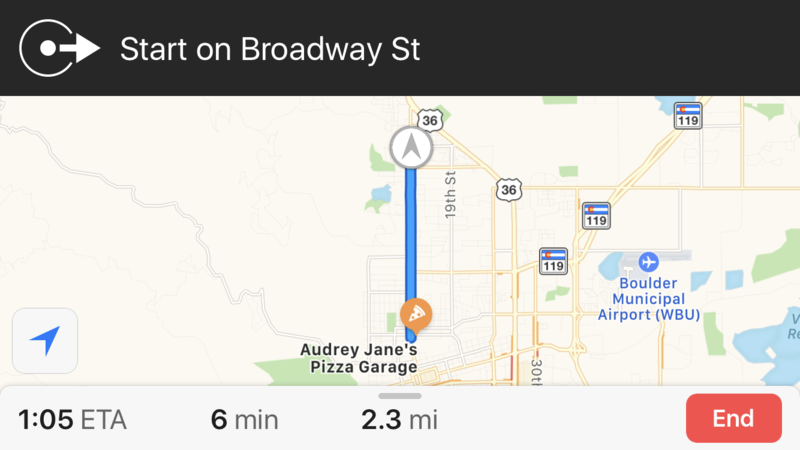 Let’s see if I can find some good pizza near me in Boulder, Colorado. 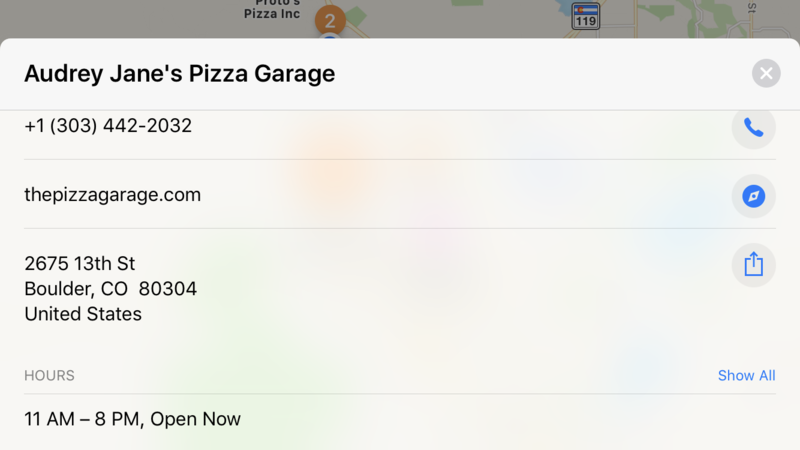 Most people don’t know you can search by name and category in addition to entering street addresses into Apple Maps. Not only that, you can find intersections with the “&” notation. For example: Sunset & Vine, Los Angeles, CA will yield one of the most famous intersections in the world. Nifty, eh? Notice the ratings (and photos) are all from Yelp. That’s handy to know. More importantly, looks nice, bright and that pizza looks quite ready to eat, if you ask me! 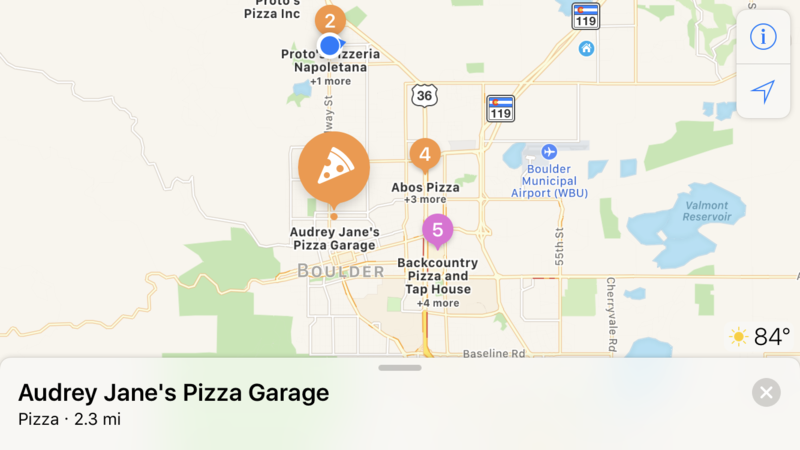 Looks like Audrey Jane’s Pizza Garage is open now! And it’s only a 6 minute drive from my current location, and it has 4 1/2 stars on Yelp. Sounds like a winner! So, well, it’s um, lunchtime, so I’m outta here. 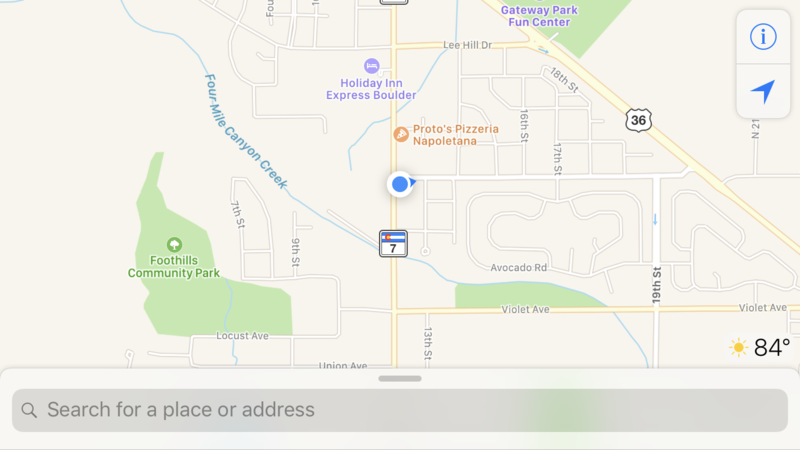 Now you too know how to use Apple Maps on an iPhone or iPad to find local venues by category, check if they’re open, and get driving directions too! Easy enough.